Mettler Toledo AUTOMATED PRECISION TECHNOLOGY – Fast, Rugged, Precise and Direct! Accurate determination of mass is a key product attribute for both process and product quality control. The ability to perform fast, automated yet high-precision weighing opens upa new dimension in many areas of process automation. Whether your needs are for simple weighing, precise filling, specific characterization of materials or quality control, Mettler Toledo precision weigh modules provide precise, automated weighing with direct data connection capabilities in both general manufacturing or hazardous area applications. The WX family is designed for high-precision automated as well as manual weighing in instruments, machines and isolators. It features models with readabilities from 0.1 μg to 0.1 mg with weighing capacities from 22 g to 220 g. The compact design means that installation is straightforward and space saving. The comprehensive overload protection and rugged plug-in connections are designed for use in analytical processes and production applications. The ultra-compact WMC weigh modules are specifically designed for the use in automated processes under industrial environmental conditions. Speed, ruggedness, precision and direct connectivity are the key features of this product. The innovative sensors can be used for weight control as well as filling/dosing applications. The WMS weigh modules are specifically designed for the use in automated processes under industrial environmental conditions. Speed, ruggedness, precision and direct connectivity are the key features of this product range. The innovative sensors can be used for weight control as well as filling/dosing applications. The Modulo WM weighing modules are specifically designed for the use in automated processes under industrial environmental conditions. Speed, ruggedness, precision and direct connectivity are the key features of this product range. The innovative sensors can be used for weight control as well as filling/dosing applications. Intrinsically safe weighing modules for use in in hazardous environments (Zone 1; Class I, Div. 1). 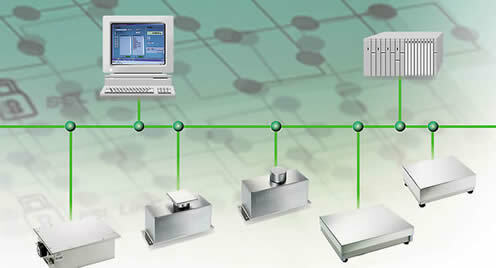 Specially developed for integration in automated processes. A professional solution for new horizons in dispensing and weight determination. The Modulo WM weighing modules are specifically designed for the use in automated processes under industrial environmental conditions at Higher Capacities – Speed, ruggedness, precision and direct connectivity are the key features of this product range. The innovative sensors can be used for weight control as well as filling/dosing applications. The WMH-Ex weighing platforms are specifically designed for the use in automated processes in hazardous environments (zone1; 21). Speed, ruggedness, precision and direct connectivity are the key features of this product range. The innovative sensors can be used for weight control as well as filling/dosing applications. Standard Modulo WM and WM-Ex models for Hazardous Areas. The WM weighing modules are specifically designed for the use in automated processes under industrial environmental conditions. They provide high precision weighing in fractions of a second and can be directly connected to a PLC. Different weighing modes, adjustable filters and stability criteria allows you to operate even in harsh industrial environment- ideal for use in high speed automation, pharmaceutical, nuclear or explosive material in chamber weighing applications. All Modulo units listed above can ordered with suffix as follows: L22 (IP54) for Dry industrial environments or W22 (IP66) for Washdown environments. For Hazardous Area Weighing: X-LCL (IP54P) for Hazardous Industrial and X-WCL suffix for Hazardous Washdown environments. 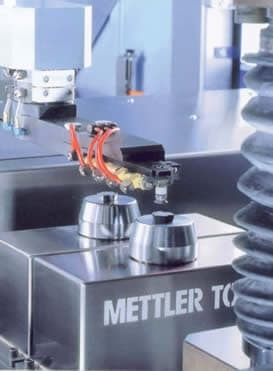 Mettler Toledo Automated Precision Weighing for General & Hazardous Areas. The Mettler Toledo WMH “High Capacity” models “WMH” – WMH-Ex weighing modules are specifically designed for the use in automated processes for both in Industrial & Hazardous Environments (ATEX Zone 1; FM Class I, Div. 1). Speed, ruggedness, precision and direct connectivity are the key features of this product range. The innovative sensors can be used for weight control as well as filling/dosing applications. The WMH High Capacity Series has 22 different models and covering a weighing ranges of 15 kg x 0.1g – 3000 kg x 50 g. The rugged and extremely durable stainless steel housing encloses the load cell in proven METTLER TOLEDO MonoBloc technology, an internal calibration device as well as the electronics boards. The weighing modules offer an efficient data transfer to process control systems via the PSU power supply module. They are easy to implement and to configure with the enclosed software tools. Larger sizes available –up to 6000 kg – please contact for capacities greater than above. All model models listed above show suffix “s-22” for Stainless. Connection socket in aluminum housing with terminal screw connections, for dividing up the lines based on function (supply voltage, RS interfaces) and structure of an RS-422 network. By looping through the supply lines, thefeed has only to be laid to the first ConBox.Dimensions (L x W x H): 160 mm x 100 mm x 60 mm. Connection module in plastic housing, can be connected to DIN rail, with terminal screw connections for dividing up the lines based on function (supply voltage, RS interfaces) and structure of an RS-422 network. Additional functions for implementing digital input/output signals (optional for WM / WMH): Enables the connection of digital input/output signals at 24 V. Inputs and outputs are electrically insulated from one another and the electronics. Dimensions (L x W x H): 150 mm x 76.4 mm x 53 mm. Connection module in plastic housing, can be attached to DIN rail, with plug. For connection of WM weighing modules / WMH weighing platforms to a Profibus network (Profibus-DP slave according to EN 50170). Dimensions (L x W x H): 120 mm x 75 mm x 27 mm. Module Connection module in plastic housing, can be attached to DIN rail. For connection of WM weighing modules / WMH weighing platforms to a DeviceNet network (according to EN 50325-2). Dimensions (L x W x H): 120 mm x 75 mm x 27 mm. These products are developed, produced and tested in a METTLER TOLEDO facility that has been audited and registered according to international (ISO 9001) quality standards.